Doggy Stuff has a range of dog beds suitable for all types of dogs, it doesn't matter what size they are, they can be small, medium or large we'll have a bed to suit. 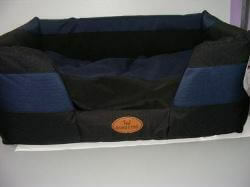 We sell the very popular Bono Fido range of stay dry beds. They are tough and durable bedding. They're water proof and from a flea proof fabric. To clean the bed you just wipe the bed down. We make ourslves a doggy futon. It is a calico bag filled with 100% wool with a ripstop nylon cover outer. They come in two standard sizes or we can make any size on request.They also come in a range of colours. If your after a bed and don't see it on a website please call us we will be happy to help. 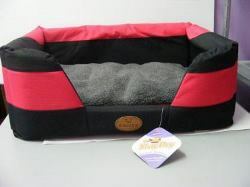 Sorry we cant post beds around Australia but these items are to big for Australia post.